to help save women's lives. The daughter of American medical missionaries, Ida Scudder (1870-1960) cared deeply for women in India who were not allowed to receive medical care from a male doctor. In humble service to God, she dedicated her life to assisting such women and many others. Dr. Scudder traveled to small villages to bring timely aid, trained India's first female doctors, and founded a first-class hospital, in which her important work continues today. 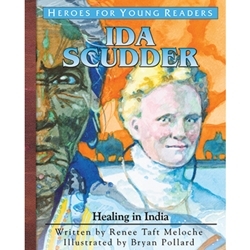 Now Heroes for Young Readers makes Ida Scudder's remarkable story available in this picture book all ages will treasure.